A red-light camera at the intersection of the Bayfront Expressway and Willow Road in Menlo Park. Post file photo. 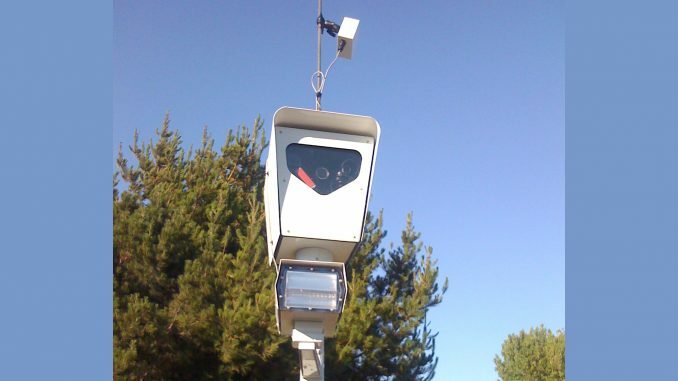 The Menlo Park City Council tonight (April 9) will consider possibly dropping its controversial red-light camera operator, and if it does, that would end the $480 tickets drivers get in the mail. It would also end a small source of funds to the city — about $24,000 a year compared to the city’s $68 million budget. The cameras have churned out 3,692 tickets annually over the past five years. The tickets generated $1.4 million for the July 1, 2017-June 30, 2018 fiscal year. But the city only gets 32% of that. 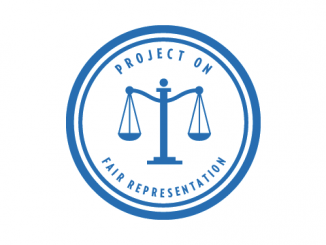 The state gets the lion’s share, 46%, or $663,127 and the county receives 22% or $314,148. The city’s 32% share amounted to $461,306. But Redflex, the company that operates the cameras, got $312,000 of the city’s share. And staffing costs in the Police Department gobbled up another $125,285. That left the city with just $24,021 profit on $1.4 million in tickets. On March 1, the city put out a request for proposals for companies to submit bids to operate the red-light cameras. The city extended its two-week deadline to the end of March, but still only got a response from one vendor — Redflex, the current operator. There are at least three other companies in that business: American Traffic Solutions (ATS), Laser Craft and Xerox. But none them bid on the Menlo Park contract. 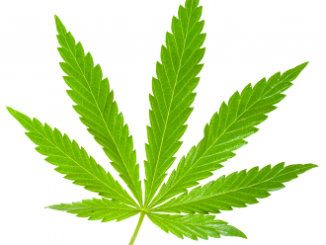 According to a report by police Cmdr. William Dixon, at least two vendors expressed interest, but did not submit a proposal. In its new proposal, Redflex is offering to drop its fees by 25%, from $312,000 a year to $234,000. But when council last discussed the cameras, on Oct. 23, council members Ray Mueller and Catherine Carlton expressed a dislike for RedFlex. RedFlex was caught bribing local officials in Columbus, Ohio, and Chicago to get city contracts. Former Redflex CEO Karen Finley was sentenced by a federal judge to serve 30 months in prison in the Illinois case and 14 months in the Ohio case. She’s also been ordered to pay $2 million in restitution. Chicago felt that Redflex was too corrupt and banned the company. Two are in the Belle Haven neighborhood, both along Bayfront Expressway, one at Willow Road and the other at Chilco Street. Both are in the council district represented by Vice Mayor Cecilia Taylor. The other two cameras are on El Camino Real, one at Ravenswood Avenue and the other at Valparaiso Avenue. The camera at Ravenswood falls into councilwoman Betsy Nash’s district, while the one at Valparaiso falls into District 3, which does not have a designated council member. 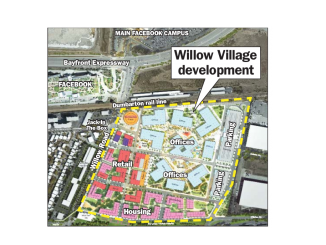 The council will review the proposed contract tonight (April 9) at 7 at city hall, 701 Laurel St.
Whatever happened to Facebook’s Willow Village proposal? We believe it would be the best option for Menlo Park to become the 81st California community to end or ban red light cameras, leaving only 28 active programs in a state that once had 105 red light camera programs. It would be particularly good for Redflex to lose another contract. There have now been five guilty pleas or verdicts in federal Reflex-related indictments for fraud, bribery, or extortion in only two states. A former Redflex official said there are similar issues in at least 12 states. We hope you end your red light camera program. Your residents and visitors will be eternally grateful to be relieved of this burden.